Just like humans, some dogs experience stress which may negatively impact their overall health. Stress causes intestinal microflora imbalance and increases intestinal movement resulting in digestive upset, a thoroughly unpleasant experience for everyone involved. 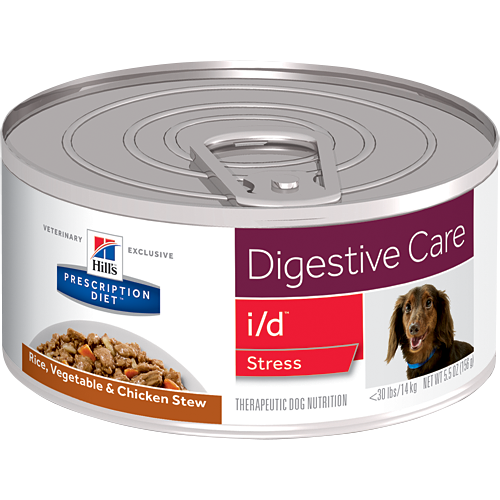 Hill's nutritionists and veterinarians developed Prescription Diet® i/d® Stress clinical nutrition especially formulated to help manage stress-related digestive upset in dogs up to 30 lbs.